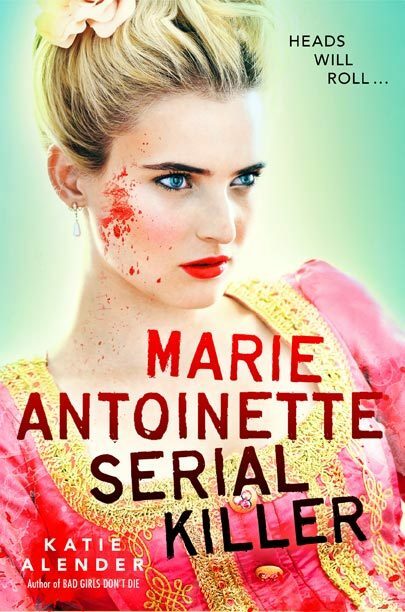 Marie Antoinette, Serial Killerby Katie Alender, delivers just about exactly what it advertises. It’s fun, simplistic and because the topic is unexpected, it makes for an interesting read. Colette Iselin is going on a class trip to Paris. Her two roommates, Hannah and Pilar are both rich and don’t know Colette’s secret. Her parents are split up and she is painfully broke. When the girls arrive in Paris, Colette has a string of visions. She feels like they are ghost sightings and that the ghost is none other than Marie Antoinette. Simultaneously there is a string of serial killings with many patterns that allude to Colette being the next victim. The combination of the ghost and the serial killings felt like the old Scooby-Doo episodes. It was also hard to stomach Colette’s stress about her friends finding out that she’s poor when murders are taking place. There is a convenient love interest and the story winds up in a nice tied bow. Lots of talk of fashion, a few excursions to Paris landmarks and a bit of history are dashed in to the story as well. For a reader looking for bubble gum fun, this will not disappoint. * Thank you Scholastic Books for an ARC in exchange for my honest review. Previous Shame on You NYC. Seriously? Almost ALL of the New Banksy’s Are Already Destroyed? !